Sohn J-C, Regier JC, Mitter C, Davis D, Landry J-F, Zwick A, Cummings MP. 2013. A Molecular Phylogeny for Yponomeutoidea (Insecta, Lepidoptera, Ditrysia) and Its Implications for Classification, Biogeography and the Evolution of Host Plant Use. PLoS ONE 8(1): e55066. doi:10.1371/journal.pone.0055066. 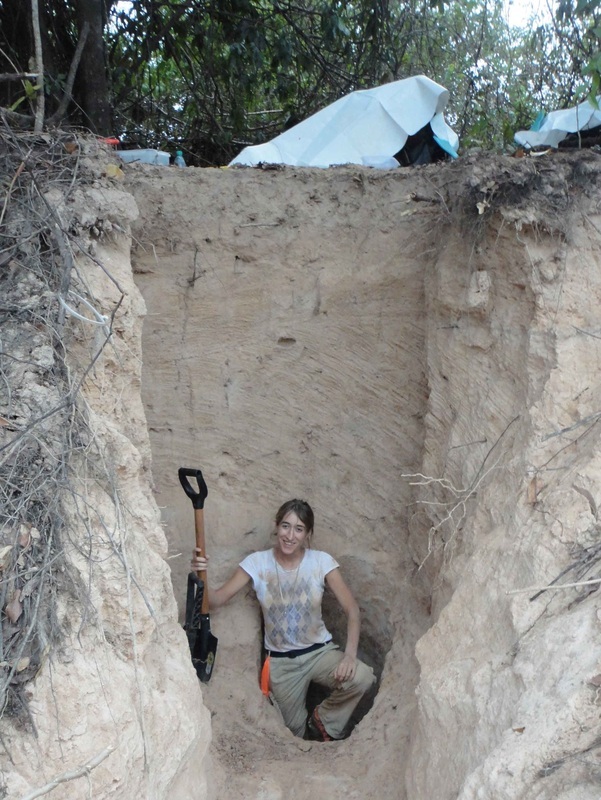 I am a field-oriented paleobotanist originally trained in specimen-based research. I use direct evidence from plant fossils to understand evolutionary processes that structure biodiversity and plant community structure. My thesis work focuses on plant community change during the early evolution of flowering plants. Flowering plants dominate the globe in terms of both biomass and species diversity despite their relatively recent origins, compared to formerly dominant groups such as ferns and other seed plants (e.g conifers). Only the fossil record provides direct evidence of the biology and ecology of early flowering plants that can be used to understand how this came to be. I have made extensive new collections of plant fossils from Early Cretaceous deposits in Wyoming that span the appearance of flowering plants. I am using these collections to track the distribution of early angiosperm species diversity and abundance across different types of habitats through time. By piecing together the rate and sequence in which flowering plants infiltrated various communities, and by recording the correlated changes in the fern and gymnosperm communities, I can evaluate how well the different hypotheses about the early stages of angiosperm evolution fit the data. Jud, N.A., and Hickey, L.J. 2013 in prep. A new eudicot from Aptian of Eastern North America. Falcon-Lang, H.J., Jud, N.A., DiMichele, W.A., Chaney, D.S. Nelson, W.J., Lucas, S.G. 2011. Pennsylvanian coniferopsid forests in sabkha facies reveals nature of seasonally-wet tropical biome. I received my Masters degree at the University of Zagreb, in Croatia, and I am currently in my 3rd year of graduate school at Entomology Department at UMD. I am doing most of my research at the Ant Lab in Smithsonian Natural History Museum, where my co-advisor is Ted Schultz. My current research is focussed on the fungus growing ant genus Sericomyrmex. I will use molecular data to infer phylogenetic relationships of Sericomyrmex species and at the same time guide a taxonomic revision, since this genus is notorious for its problematic morphology. I am also interested in evolution of underground nest architecture of these ants, and in co-evolution between ants and their fungal cultivar. Ješovnik, A., Bujan, J. & Bračko, G. 2011. One genus and three species of ants (Hymenoptera : Formicidae) new for Croatia. Entomologica Croatica 15: 113-122.